Do Bald Men Have More Heart Attacks? There has long been an “urban medical myth” that bald men have more heart attacks. Is it true? 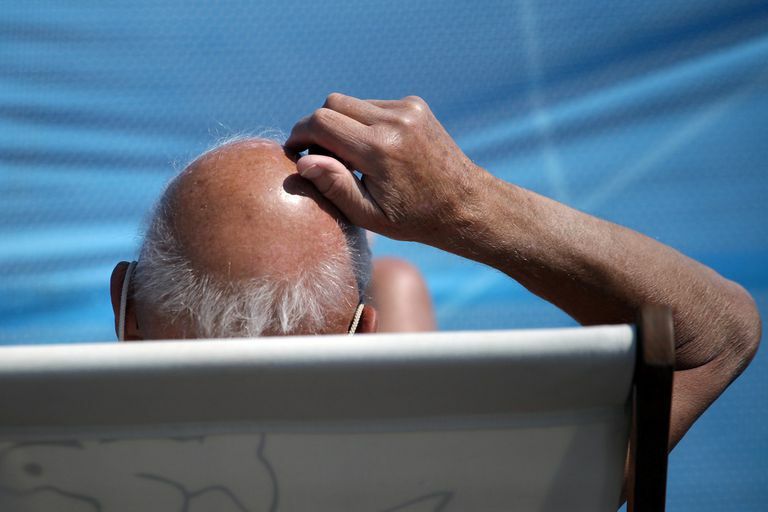 Here's what you should know about baldness and heart attacks — and whether or not your receding hairline puts you at risk. Does Baldness Cause Heart Attacks? The theory goes that bald men have more androgen, a hormone that controls the secondary sexual characteristics in men like hair growth and voice deepening. Some studies have found that higher levels of androgen cause a person’s arteries to harden, which is why people have theorized that baldness is linked to heart attacks. However, when you take all bald men and group them together, there really is no difference in heart attack risk. But when you start comparing sub-groups of bald men — like men with severe baldness or men with frontal-only baldness — you see an increase in the likelihood of a prior heart attack. In one 2008 study of over 5,000 men, researchers from the University of Arizona found that separating men by type and severity of baldness made a difference in the risk of heart attacks. Some of the men had frontal baldness only, while others had a combination of frontal and vertex baldness, or baldness that begins at the top of the head. When comparing the men's health records, those with vertex baldness were more likely to have had a heart attack in the past than men with other types of baldness. In addition, men with severe baldness may be more likely to have a heart attack. In the study, men with moderate vertex baldness were 20 percent more likely to have had a heart attack, and severe cases were somewhat worse off. Interestingly, baldness and tests of artery hardening were not linked. A 2013 analysis of past studies found that balding men are 70 percent more likely to have heart disease, and those in younger age groups were 84 percent more likely to do so. Men with extensive vertex baldness were most likely to have a heart attack, than men with moderate vertex baldness, and men with moderate vertex baldness were more likely than men with mild vertex baldness to have a heart attack. However, men with a receding hairline were not at an increased risk. While there's no guarantee your heart is at risk if you're bald or balding, it's important to understand that you may be. If you're losing your hair, to your doctor about ways to boost heart health and lower your risk of cardiovascular disease and heart attack. Starting when you are young or at the first sign of balding can increase your odds of improving your cardiovascular profile before you have a heart attack. Eyal Shahar, Gerardo Heiss, Wayne D. Rosamond, and Moyses Szklo. Baldness and Myocardial Infarction in Men: The Atherosclerosis Risk in Communities Study. Am. J. Epidemiol., 15 March 2008; 167: 676 - 683. Tomohide Yamada, Kazuo Hara, Hitomi Umematsu, Takashi Kadowaki. Male pattern baldness and its association with coronary heart disease: a meta analysis. BMJ Open, 2013; 3: e002537 DOI:10.1136/bmjopen-2012-002537. What Are the Symptoms of a Heart Attack in Women? Could You Be Having A Heart Attack? How To Tell, And What To Do. What Puts You at Risk for a Heart Attack? Can Anti-Inflammatory Drugs Prevent Heart Attacks? What Are the Causes of Myocardial Infarction, or Heart Attack?